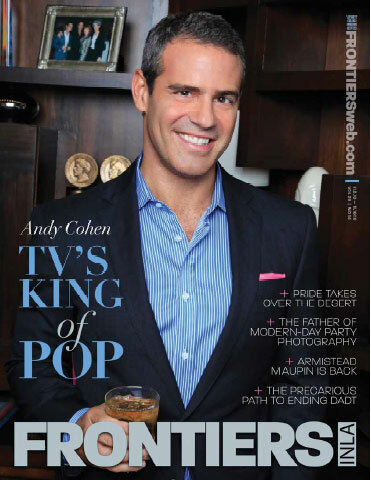 Bravo-lebrity Andy Cohen covers Frontiers magazine. He dishes about L.A. and coming out. And a lot of the Housewives definitely have similarities to drag queens. [Laughs] You said that, I didn’t.